At the end of the last editorial, I mentioned that someone was even more influential than Nobuo Uematsu in the doujin field. Considering the popularity of the Final Fantasy series, you might find it rather surprising. Now, “who exactly could this be and for what games does he compose?” you might be asking yourself. Well, he composes for a series of games called Touhou. So what exactly is the Touhou series? The Touhou series of games is highly inspired by manic bullet shooters, such as the DoDonPachi series put out by Cave. The Touhou Project, as it’s formally called, was started in 1996 by a person who goes by the alias ZUN and has since spawned a variety of games. 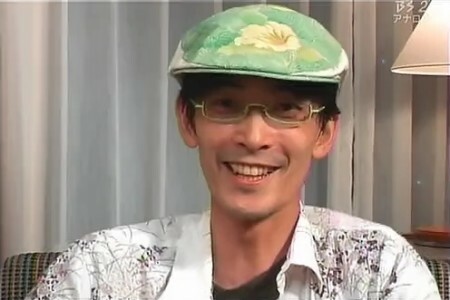 Now, you might be wondering why ZUN dominates the doujin scene. That’s because ZUN, who works as a programmer for Taito, creates the Touhou series in his spare time. What exactly is he involved in? Well, he’s responsible for all the programming, artwork, script, but most importantly, the music for each game. So, basically, the entire series is a doujin work! So, what does most of this music sound like? For the most part, it still features the fast pace of normal shmups, but rather than going for electronica, it opts for a more earthly feel with extensive use of brass, woodwinds, and piano. While the sample libraries aren’t the greatest in the world, given these are fanmade works, the compositions themselves are quite catchy. They also share a lot of stylistic similarities so those looking for a lot of diversity might not find these all that attractive. While I don’t have music for all of the games, I do have music for most of the games so I’ll give a little timeline tour. The fifth game in the series, Mystic Square, was released for the PC-9801 in 1998 and is most similar in game design for the Windows based games. An iconic original track from this game is “The Grimoire of Alice”, an exhilarating piece that really sounds great for using PC-8801 synth. Among the best arrangements of this track is featured in Touhou Midnight Maximum Tune III, a title which is clearly inspired by Yuzo Koshiro’s Wangan Midnight Maximum Tune series. Arranged by Kiyoma, “The Grimoire of Alice” is probably a bit more accessible than the trance pieces heard in Wangan Midnight, mainly due to the fact that it features a nice variety of instruments and electronica. The fact that it is also more techno-like, rather than trance, also helps to make it more accessible. After the release of Mystic Square, the Touhou scene was really quiet for a while. The next iteration in the series, Embodiment of Scarlet Devil, wasn’t released until 2002. Rather than being created for the PC-9801, this was the first Windows based game in the series. As such, the music also got an upgrade in sound. A noteworthy track from this game is hte boss theme for the second stage. Entitled “Beloved Tomboyish Girl”, it’s a mellower boss theme that features extensive use of the piano and violin with some interesting percussion beats. It also has a nice Asian flair to it. As mentioned in my last editorial, there are some doujin albums that feature prominent game music artists. The album Cradle -Touhou Gengaku Shiten- is such an example, featuring an arrangement of “Beloved Tomboyish Girl” by Nauts, known for his work on the TalesWeaver soundtrack. This jazzy electronica arrangement also features some vocal work at times and goes well with the original theme. From the same game, I’ve also chosen to opt for another boss theme, “U.N. Owen was her?” The boss theme for the Extra stage, a stage more difficult than those found in the main game, is quite interesting. It has some interesting percussion and features a more electronica nature. It’s also a bit chaotic and mysterious and doesn’t really focus on a single melody. For this piece, I’d like to showcase two arrangements, one of which comes from Cradle -Touhou Gengaku Shiten-. Arranged by Yuu, his version of “U.N. Owen was her?” features some nice orchestral and piano work with tinges of rock over a nice techno beat, but it still retains the mysterious and varied nature of the original. Another arrangement of this piece, “U.N. Owen was her? – McDonald’s style”, clearly shows that some people have way too much time on their hands. If I were to state the words Touhou and McDonald’s in the same sentence, most people would think they were unrelated. I wish this was the case. I won’t even describe this one that much, but it definitely is more chaotic than the original, and infinitely more disturbing. Swiftly moving onto the next game in the series, Perfect Cherry Blossom was released in 2003. I find the music to be much better in this iteration of the series. 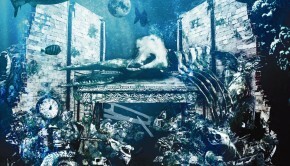 One notable track is “The Fantastic Legend of Tohno”. It’s a nice piano and woodwind based with a nice rhythm and some choral highlights. As with some of the other themes in the series, it also has an Asian flair to it. As for its arrangements, a notable one is “The Fantastic Legend of Tohno”, arranged by Golden City Factory, from Touhou Midnight Maximum Tune I. This remix is rather interesting. 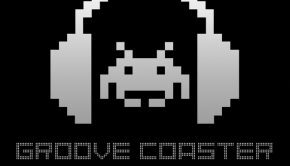 It’s a blend of piano, heavy beats, industrial rock/techno influences, and some Asian instrumentation that really helps to bring out the melody of the original. It’s one of the better arrangements from this album. From the same game, I’d also like to mention the boss theme for stage four, “Phantom Ensemble”. As with the other boss theme I’ve mentioned, this one is also a bit laidback, but picks up over time. It’s a nice blend of brass, piano, and strings and has one of my favorite boss melodies from the game. A solid arrangement of this one is also featured in Cradle -Touhou Gengaku Shiten-. Featuring another prominent game music artist, ESTi, who also worked on TalesWeaver and Ridge Racer Type 7, their version of “Phantom Ensemble” is absolutely beautiful. Scaling back on the tempo, this arrangement is an extremely exquisite blend of Asian inspired sound, tribal influences, electronica, piano, and acoustic guitar. 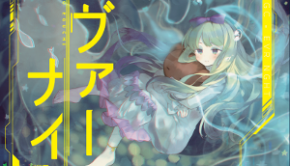 It gives a very ethereal atmosphere and is easily one of my favorites from this particular doujin album. A year later, in 2004, Imperishable Night was released and featured some new elements in terms of gameplay. While this article isn’t about that, this is one of my favorite games in the series. In fact, this was the very first game in the series that I played and it also has some of my favorite music. From the moment I started, the stage one theme, “Illusionary Night ~ Ghostly Eyes”, immediately won me over. While it doesn’t do anything fancy, the piano and percussion composition just carries this catchy melody that I couldn’t get out of my head. The arrangement “Illusionary Night” from 5th TAMUSIC Concert ~Touhou Compilation~, is a beautiful piano and violin melody that really brings out the sadness heard in the original. This entire album is worth checking out, if you ask me, especially if you love piano and violin! The game’s stage theme, entitled “Nostalgic Blood of the East ~ Old World”, is another composition that focuses on a strong piano melody and some nice string accompaniment. Unsurprisingly, I’ve decided to showcase another arrangement from Cradle -Touhou Gengaku Shiten-. Unlike most of the ones so far, I chose this arrangement of “Nostalgic Blood of the East ~ Old World”, arranged by Kurenainagi Tabibito, for its full orchestral arrangement. It’s definitely a departure from the original and has some nice peaceful interludes. The second theme, “Plain Asia”, is one of my favorite boss themes from Imperishable Night. It’s a brass and piano led melody with some choral accents as well. Its best remix comes from my favorite Touhou doujin group, Dark PHOENiX. Their style mixes piano and rock. The version of “Plain Asia”, from the album Knights of Round 2, is a nice combination of piano, strings, and electric guitar. It’s quite exhilarating for the most part, but it also features some jazzy piano sections and some nice synth sections as well. If I had to choose a game that had my other favorite compositions, it would definitely be the next game in the series, Mountain of Faith. Released in 2007, after a couple of spinoff games, it marked a drastic change to gameplay. The music, however, was superb as always. My absolute favorite stage theme belongs to the fourth stage, “Fall of Fall ~ Autumnal Waterfall” is a beautiful woodwind led piece with some nice percussion and piano highlights. One of its remixes, “Fall of Fall”, from TAMusic’s Touhou Nocturnes for Pianoforte Spirit, is a beautiful piano arrangement that adds a nice air of beauty with its slower pace. Another recommended arrangement adds a new style to the editorial. JAZZ! This arrangement, entitled “Gossip Land”, from TOHO Jazz 2008, arranged by Tainokobone, is an extremely fun jazz arrangement that really adds a lot of playfulness to the original. It’s an interesting take on music and shows how well ZUN’s style of composition translates to other genres. The other composition from Mountain of Faith that I’d like to exhibit is the final boss theme, “The Venerable Ancient Battlefield ~ Suwa Foughten Field”. This one features a darker atmosphere with some interesting synth, piano, and brass sections, and choral highlights. It also carries a bit of etherealism with it. A remix by Dark PHOENiX can be found on Arrow Revolution. Another rock style piece, this one really adds to the intensity of the original. Featuring mainly electric guitar and piano, it’s a nice arrangement in style. I highly suggest searching for other Dark PHOENiX arrangements if you like what you’ve heard! 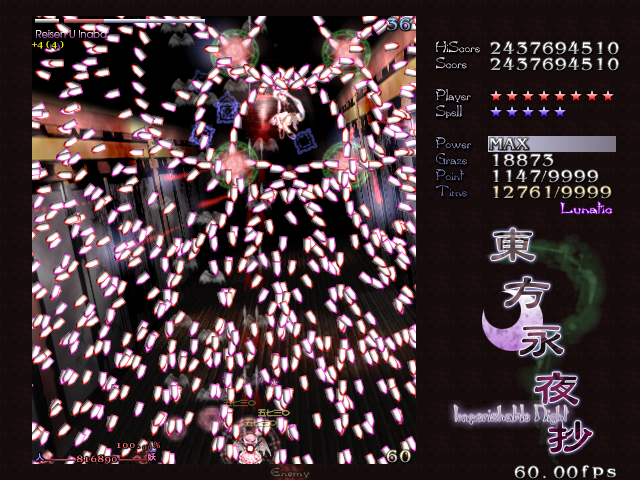 The latest game in the Touhou series, Subterranean Animism, was released just last year in 2008. In this iteration, the gameplay stayed fairly similar to that found in Mountain of Faith, but the music showed ZUN branching out a bit from his usual style of composition. The first piece, “The Bridge People No Longer Cross”, is one such example. While it does feature his signature piano for the melody, the atmosphere is extremely different from a lot of his works. Featuring an ethereal, almost tribal, and industrial feel, it features a lot of varied instrumentation and I think this works wonders! 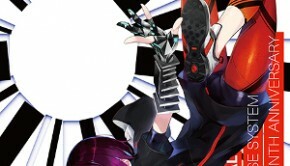 The arrangement I’ve chosen, “Underground Bridge”, arranged by REDALiCE, can be found on Trois Noir. While most of this album features vocal arrangements, this arrangement is trance in nature. At times, it carries that same ethereal atmosphere in the original, but for the most part, it’s an intense pulsating beat. Perfect for a rave! The other theme from Subterranean Animism that I decided to use is probably my favorite Touhou boss theme of all time. Stage four’s boss theme, “Satori Maiden ~ 3rd Eye”, is a nice piano/rock fusion. It harbors a sinister atmosphere and some haunting synth. It’s quite a fun ride! Now, finding an arrangement that I liked that wasn’t rock in nature was a challenge, but I finally found one. Also arranged by REDALiCE, “Tag”, is a vocal arrangement of the original and can be found on the album Trois Rouge. Again electronica-based, it transforms the original into a very bouncy vocal arrangement with a Japanese vocalist who actually has a decent voice! While it is extremely bouncy, it does manage to transfer a bit of that sinisterness through at times. Well, there are other Touhou games in the series, most borrowing themes from the main set of games, but I’ve decided not to cover them. Posted on June 1, 2011 by Don Kotowski. Last modified on February 27, 2014.